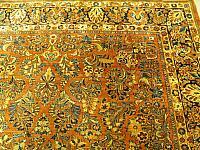 Size 9' 7" X 8' 2"
Aviram Aziz Inc., herald a collection of Antique and Decorative Rugs such as Sarouk Rugs and many other fabulous rugs. The common rooms, hallways and foyers are spots of torrential foot traffic where these formidable rugs should grace. The chunkiness of the comfortable pile permits them to sustain their firmness and survive in places of constant use. 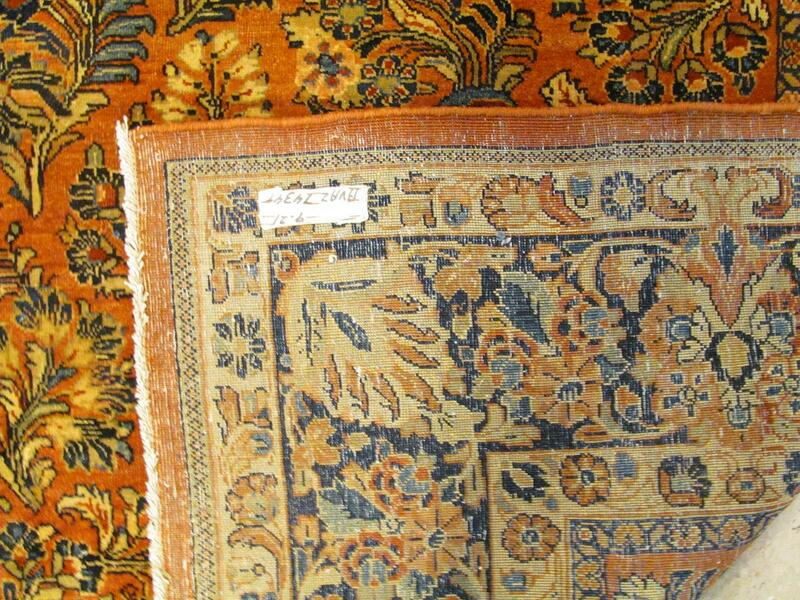 This is a quality that makes the rugs pretty pliable. These rugs are generally useful and can be best employed in places where perfection, beauty and high quality rugs are pretty much required. 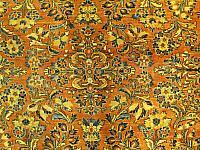 The fashion, superiority and toughness of Sarouk Rugs grant them extreme popularity and very easily satiate consumers. 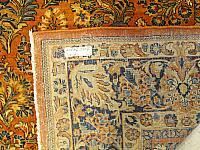 A feel of the rugs certainly would appease you and brings a tremendously comfortable experience. Its diversity is a representation of the corsage – filled designs. The color depiction is quite splendid and provides you with enormous variety. They are gorgeously embellished with best blend of colors for irresistible beauty and charm. The rugs give the homes beauty unimagined. They add to perfect magnificence of the building and its interiors. Decoration of houses is quite incomplete without the stroke of these rugs. Dreams of a tropical blend in a complex are shattered without the sophisticated and outlandish balance of these rugs. 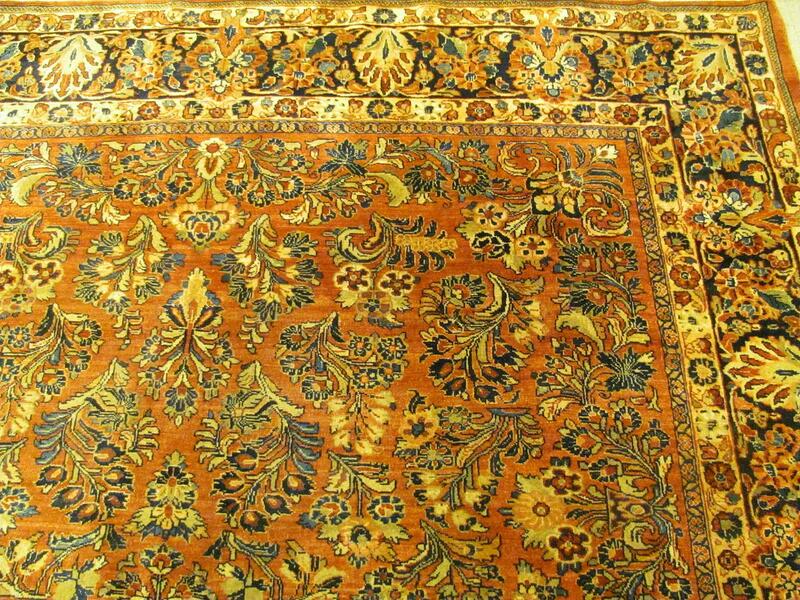 Sarouk Rugs possess quite a luxurious and lasting beauty that portends ever increasing demand. 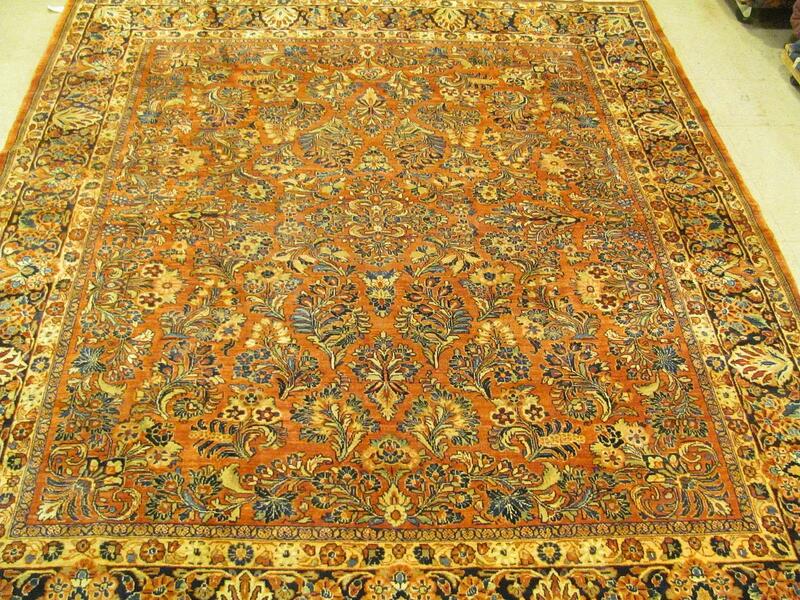 Many crave for the beauty the rugs present. Their durability accord them good usage and an enduring patronage. They are soft as much as smooth in their tough texture. What else would you go for when outstanding excellence stares at you in these quality rugs? They depict better ways to ensure astonishing decorations. Rooms are given sweeter flavor with these rugs. Dressed with these rugs, halls flower with ecstasy. Glamour coats the entries enshrined with the rugs. Lobbies are exceptionally garnished with splendor using the rugs. Vestibules receive excellent touch, and corridors are dressed with magnificence. Exclusively blended with exotic colors and quality fabric, these Sarouk Rugs portray an astonishingly gorgeous large – scale arabesque with flexible vine scrolls and delicate florals. They also replicate a good symmetric shape. Much more are their amazingly re- curved branches and cascaded flower clusters. 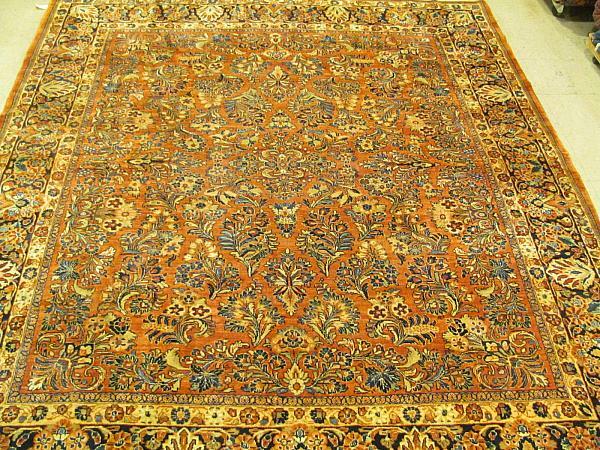 Elegance and quality bring you to making unavoidable decision in buying these rugs. The consumer is practically greeted with enormous balance and glamorous accolade. 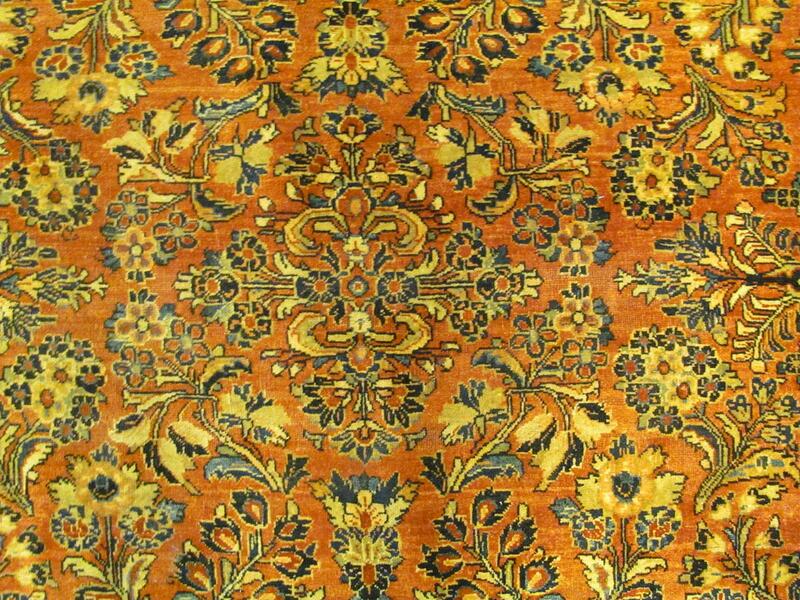 The rugs brings home the Persian influence and detailed style. They are pretty fashionable and a prototype of ethereal beauty. 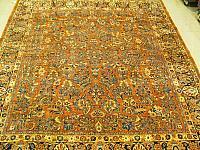 The matchless craft embedded in these rugs is quite thrilling and excellently superb. The rugs are suitable designed to give some midnight blues and relish the Herati touch. The rugs are somewhat reliable. They are sure and lasting set of dependable rugs. In the office they stand to greet your clients with great comfort and warmth. In the homes, they make a first – class decoration. They sure portend a delightful relaxation in the lounge. In your bedroom, the rugs present an amorous atmosphere. Sarouk Rugs speaks the language of class, beauty, fun and decorative competence and certainty.